Boating company Vrolijk offers a sea of possibilities at sea! We offer different services for sport fishing at sea, boat cruises, charters, tender services and the scattering of ashes. Looking for an active adventure? 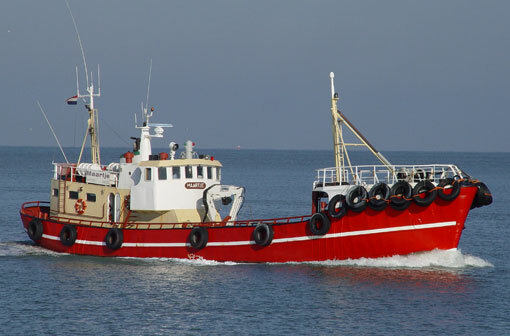 Every day, our ships go out from the harbor of Scheveningen for some sport fishing at sea! We offer all fishing equipment up for rent or buy, such as fishing rods, reels, sinkers, lines, baits & lures. All through the year, depending on the season, there’s fishing for mackerel, dab, whiting and cod. Not a fan of fishing? No problem! We also offer several boat cruises. During the summer we offer a number of options. You can sail from Scheveningen towards Wassenaar and Noordwijk, but we can also sail to Hoek van Holland. Our ships leave daily from the harbor of Scheveningen to go sport fishing at sea, an active adventure! We offer all fishing equipment up for rent or buy, such as fishing rods, reels, sinkers, lines, baits & lures. In the summer we mainly fish for mackerel. During the winter months we fish for dab, whiting and cod. We start from the 2nd inner harbor of Scheveningen. 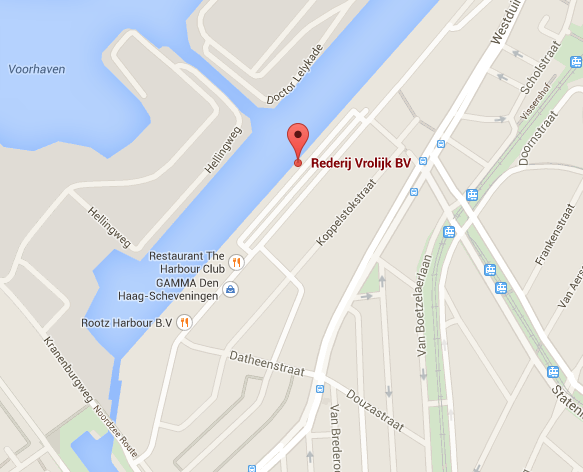 You can register at one of our ships at the Dr Lelykade. We always recommend you to make a reservation! From late May to mid-October our ships leave the harbor at 8:00 am to fish for mackerel. Our captains seek out the schools of mackerel and let the ship float on top of the school to improve the chances of a good catch. Around 15:30 the ships return to the harbor. From mid-October to late May our ships leave the harbor at 8:00 am to fish for whiting, plaice, dab or cod. It depends on the season, which species we’ll fish for. Anchor fishing usually takes place around the sandbanks along the coast line. Around 15:30 the ships sail into the harbor again. During the winter season it’s also a possibility to go wreck fishing, a very popular variety on the usual sport fishing. Our captains will sail you to a wreck in the North Sea and then drift the ship over the wreck. Wrecks are a popular place for cod to gather around, so go wild! 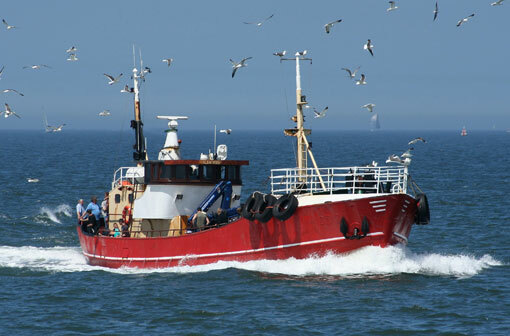 Unlike anchor fishing and mackerel fishing, the ships already depart at 7.00 am, and come back around 17.00. In the summer we offer different options to make trips. Departure from the port of Scheveningen in either the direction of Wassenaar and Noordwijk, or in the opposite direction of Hoek van Holland. These trips can only go if there are enough reservations. 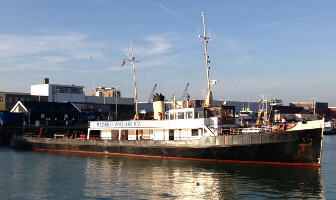 It’s also an option to rent out a whole boat to enjoy the majestics of Scheveningen from the sea. 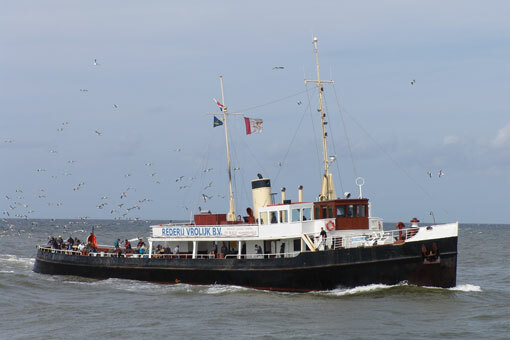 Rent one of our boats for a relaxing day of fishing, a (company) party or a herring party! We offer a range of charter charter vessels for groups of 25 to 125 passengers. The MS Albatros is ideal for wreck fishing and can carry up to 35 people. The ship has a small galley that can accommodate 10 people. The MS Estrella is a ship with a length of 60 meters and a width of 10 meters. 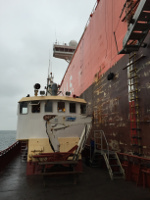 This makes that this ship is excellent for mackerel fishing and anchor fishing. 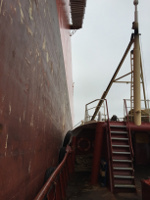 This ship can accommodate 125 people. The Estrella has a spacious bar and kitchen. Furthermore, there is a cutting table on the aft deck equipped with running water so that the fish can be cleaned immediately. The connection to ships at anchor. The MS Maartje and the Albatross are at your disposal 24 hours a day for the transport of people, parts, water, gas and supplies. 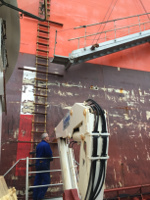 In addition, boating company Vrolijk offers all possible technical assistance. 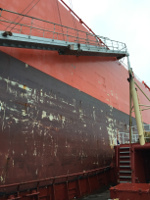 We offer our services along the whole of the North Sea coastline, but especially around Scheveningen and Rotterdam. From the harbor we sail out with the flag half-mast. Then, we’ll find our way out to the open sea. The ship is stopped and the family or a representative of the family will be given the opportunity to scatter the ashes. After the scattering, the captain will circle the ship around the place of scattering. Three blasts on the horn will show a tribute and a final farewell to the deceased. On request, an official document can be prepared that holds all data of the ceremony, such as date, time, place and name of the ship. The ash scattering takes about 1 hour to complete. Here you can find the rates of all the different services that Boating Company Vrolijk offers. For our charters and / or groups it is possible to make special requests regarding the catering. For information about the different options, please contact us. Prices for boat cruises are for a period of 90 minutes and starts at 16:00 or after the end of the planned activity / charter of that day. For each subsequent period of time, there’s a discount of 50%! The scattering of ashes is possible from 16:00 pm or after the end of the planned activity / charter of that day. Ash scattering of the ashes of animals and people has the same price.